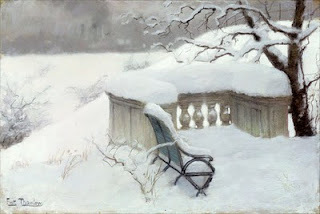 This winter landscape is by Norwegian artist Fritz Thaulow. 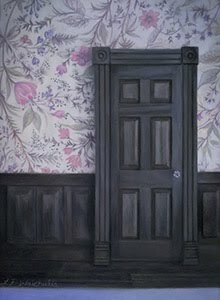 You can read a little bit about the artist and view a few more of his works on Allpaintings. I just realized today that Tuesday was this blogs one year anniversary! I look forward to another year of sharing artwork and I want to thank all of you for reading. Anthony and I hope you have a fantastic holiday! It is funny... last Saturday i have done a day trip to Hamburg and in the museum "Kunsthalle" (a exhibition "artists sees the city") are some pictures from Fritz Thaulow. Not this one, but some others. Hi klecks, I'm glad that you enjoyed the post. That exhibition sounds really interesting. I'd love to see a collection of his work.